You play an important role in a smooth cross-border process – you can help! A & A works with our customers’ shippers and suppliers to speed up the cross-border process so that shipments can cross the border faster, with fewer inspections and lower costs. 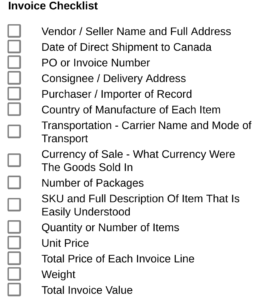 Shipments that do not have the proper information can be delayed and subjected to fines and penalties to the Canadian customer.